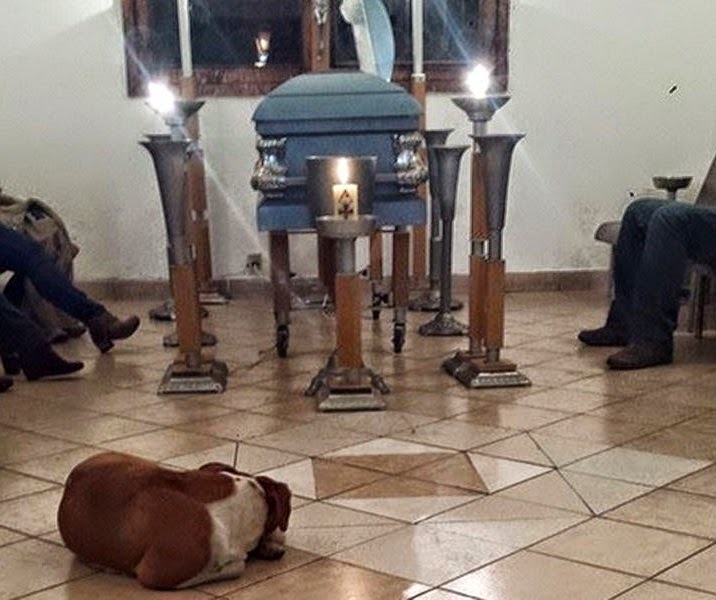 These photos show the heart-breaking moment that a group of stray dogs attended the funeral of a woman who regularly fed them. Margarita Suarez, from Merida, Mexico, fed up to 20 stray cats that gathered at her door every morning, and would also take food for the stray dogs she encountered on the streets. According to Misiones Online, her health took a turn for the worse at the beginning of March, and she moved to the city of Cuernavaca, before passing away a short time after. Her daughter, Patricia Urrutia, has said that the animals began to arrive at the funeral home where her mother's body was being kept, and it was initially believed that the dogs were local to the area, and welcomed at the home. 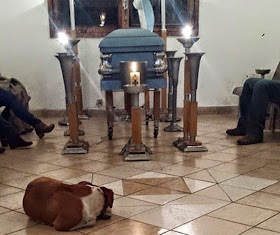 But workers at the funeral home denied any knowledge of the animals, and on the day of Suarez' funeral, the dogs followed behind the hearse, and even returned to the funeral home, only leaving when her body was prepared for cremation.